Huron Solutions Business Consulting – Wasting time with square wheels? So many times the solution is right under our noses. But we are stuck in our old ways – the ways that we believe work best for us. We are so busy that we don’t see the waste around us and we don’t have time to listen to suggestions. 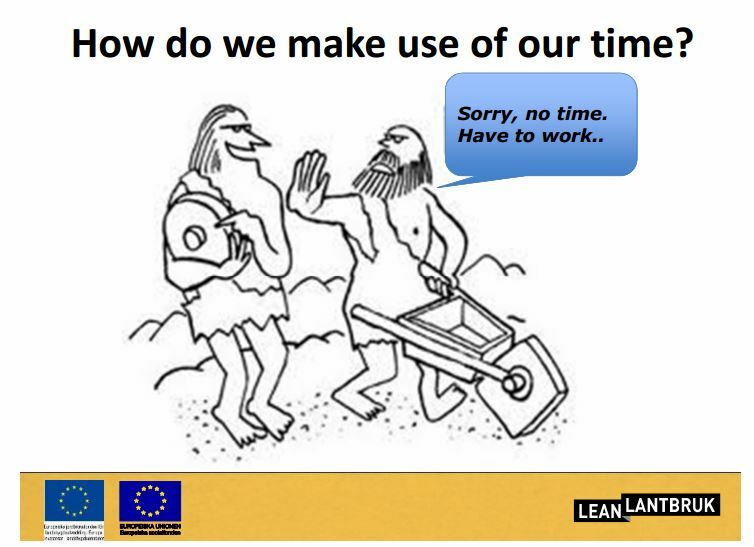 I found this sketch in a presentation by Susanna Berg Växa in Sweden on Lean Agriculture and it is a brilliant capture of the challenge we face. The solutions that Lean principles bring are so simple that we miss them unless we take a moment to SEE what we do and to think about it. Huron Solutions will be hosting free introduction workshops to these principles in February to celebrate our 10th anniversary. Watch this space for dates and venues or contact Huron Solutions for a free in-house session.